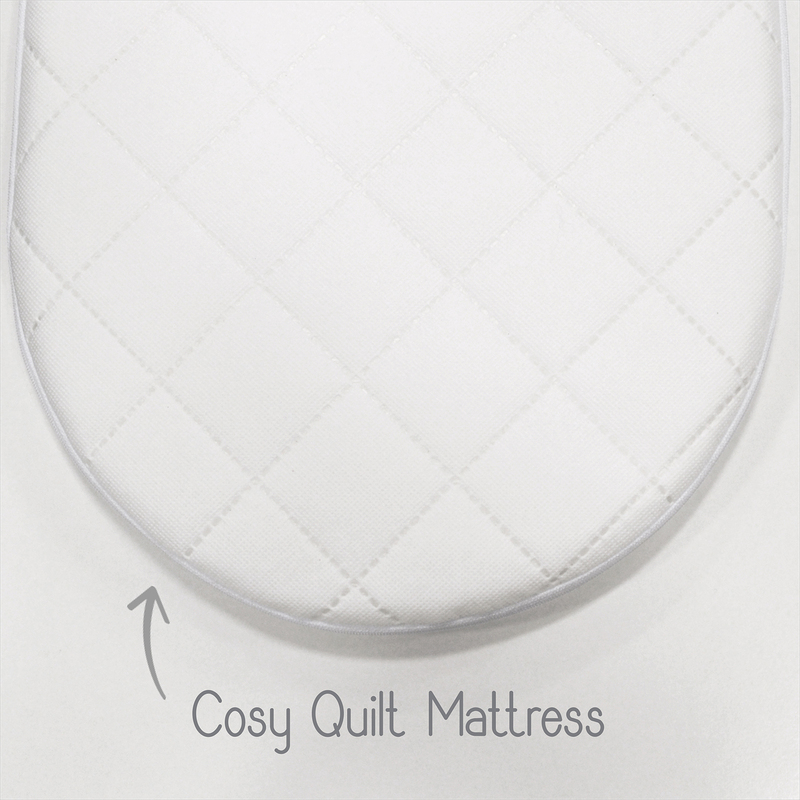 Also coming with a luxury quilted mattress with removable (washable) cover and fabrics which can also be removed for washing purposes, the Classic Snuggle Moses Basket is truly the perfect first bed for your little one. Included is the curved stand. 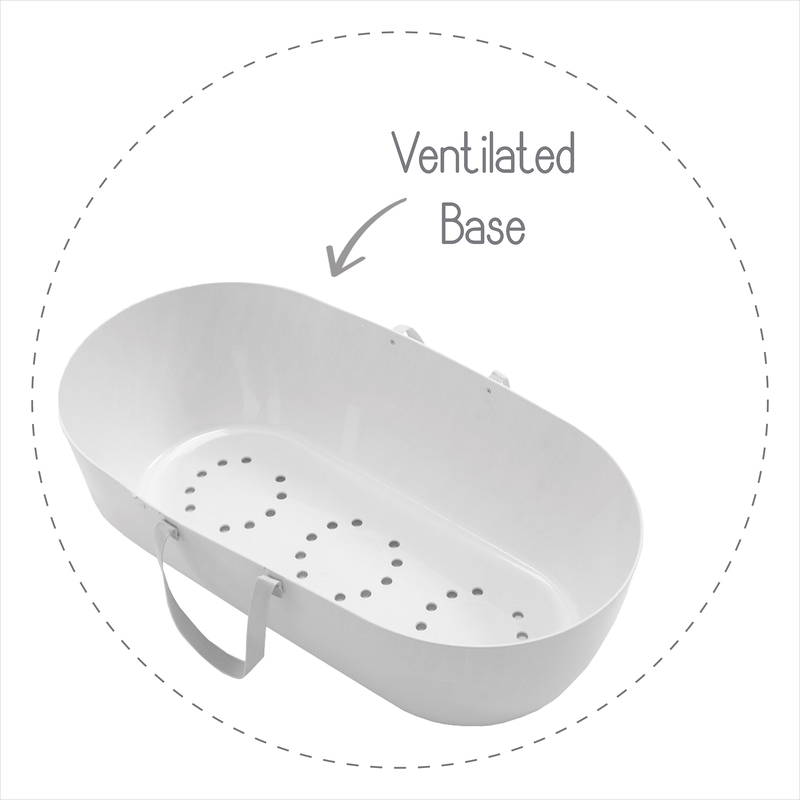 With a clever modern design, the Curve Moses Basket Stand can be used as both a static stand and as a rocking stand. 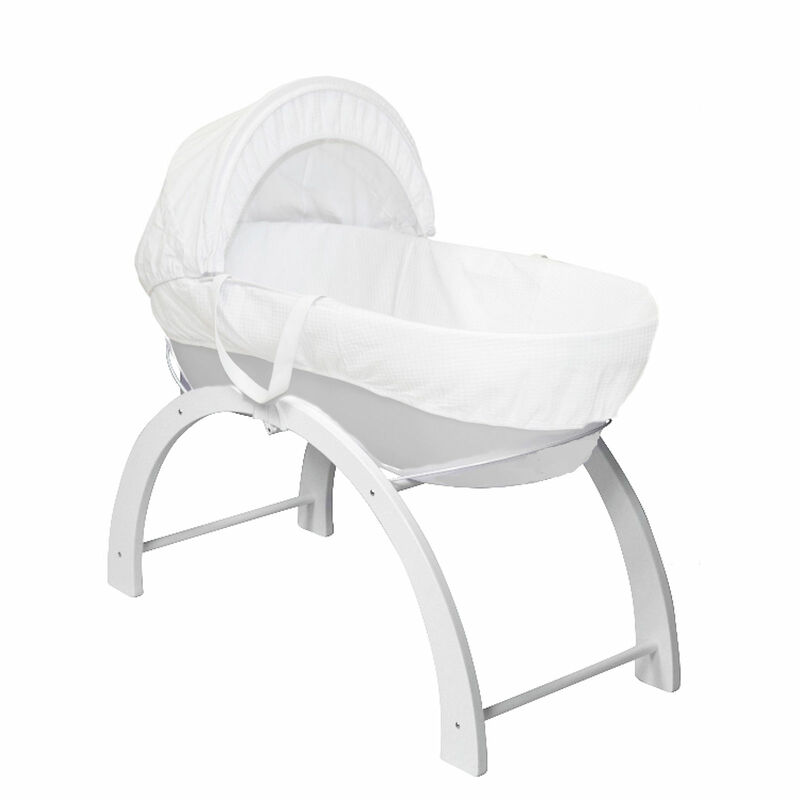 When used in the upright position, baby will be conveniently level with your bed on a sturdy fixed frame. 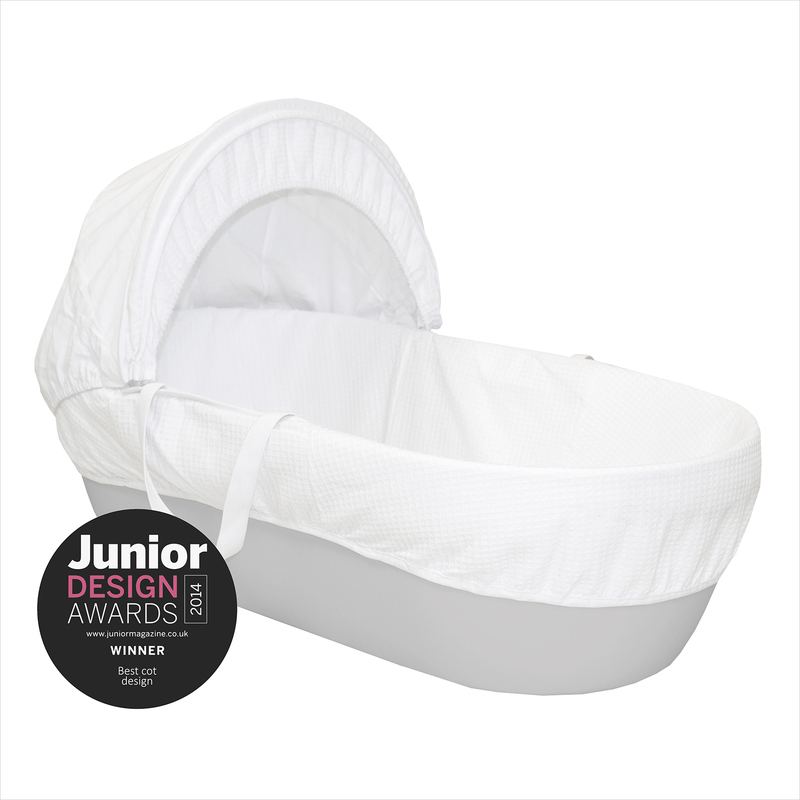 Simply turn the stand upside-down and the Curve is transformed into a low-level rocking stand which is ideal to rock baby into a peaceful sleep.When not in use, the Curve can be easily folded up for easier storage and is great for trips to family and friends.